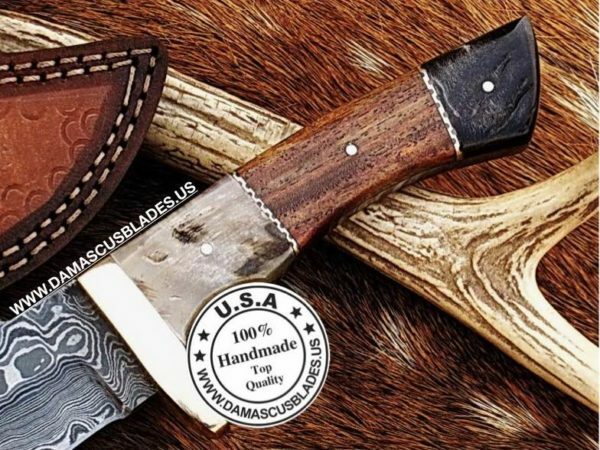 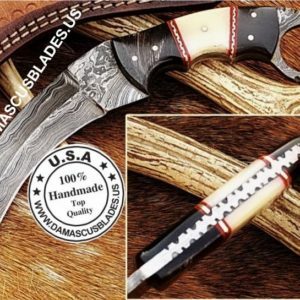 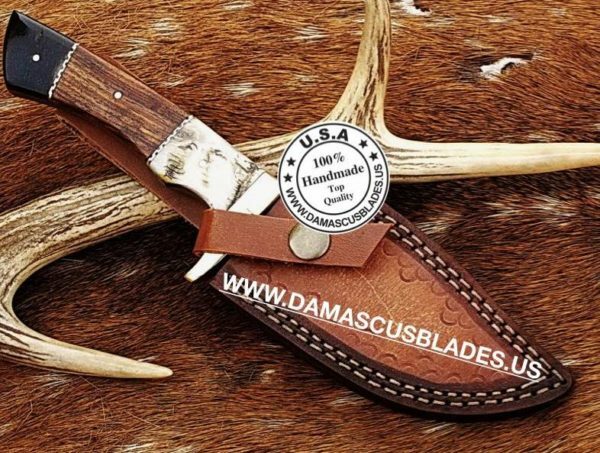 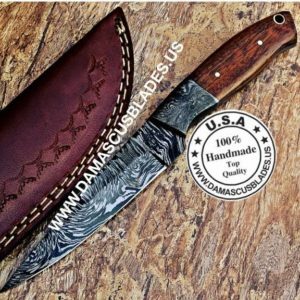 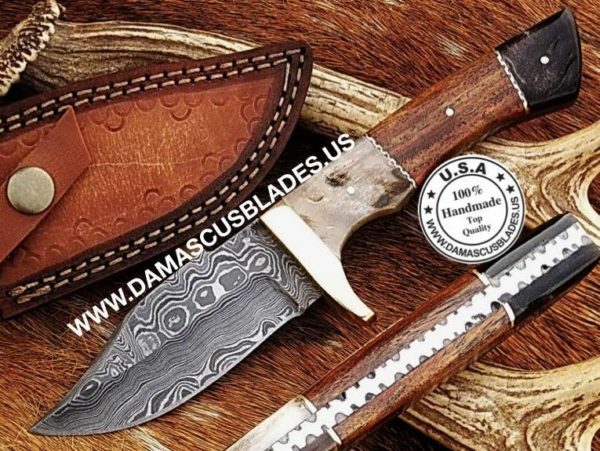 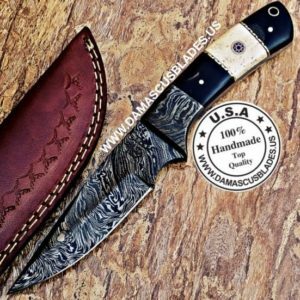 Beautiful hunting skinner knife designed with handsome handle (i.e. the combination of Buffalo Horn and wood. 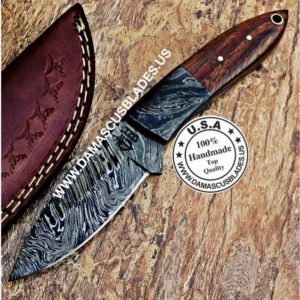 The hardness of steel is 56-60 HRC on Rockwell scale.